I have been very happy with my volunteer experience with CrossContinental. The most rewarding experience has been being able to meet the local people and help wherever I could at the hospital. There is no dearth of opportunities for medical professionals seeking volunteer work in the US, but some practitioners seek a more cross-cultural experience that’s enriching both personally and professionally. 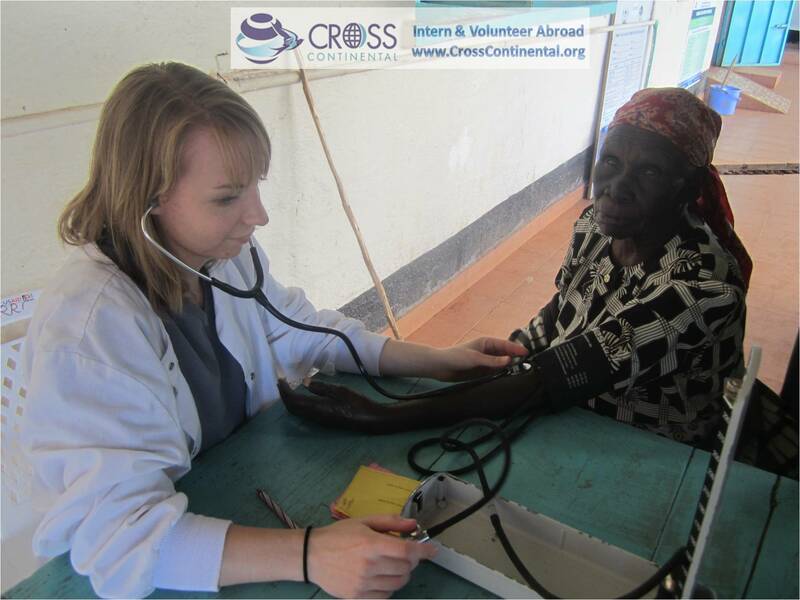 Carissa Woodruff, a registered nurse from Madison, Wisconsin, recently returned home from a medical project halfway around the world, in East Africa. 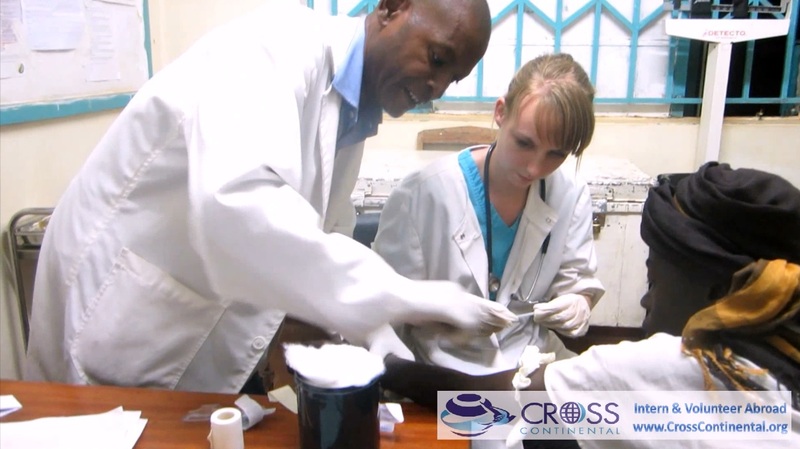 Carissa sought opportunities abroad and after learning about CrossContinental.org, she applied for a program, leading her to a 2-week stint at a local hospital in Kenya. Near the end of her program, Carissa shared her experience in the two attached videos (https://youtu.be/EehvE4XNlFM and https://youtu.be/6hW7Ddh9_VI), where she is seen not only helping out but also learning different procedures from the medical staff at the hospital. Even as a practicing registered nurse in the US, there is still much to learn and experience from medical projects abroad. In the videos, a local doctor taught her the procedures for administering medication to patients and she assisted the nurses in a medical procedure to correct a baby born with 6 digits. Her enjoyment is evident from the way she speaks about working in Kenya, stating that she is happy to help out in any way possible. Culture shock can be present when professionally trained medical personnel head to countries like Kenya, where the infrastructure leaves much to be desired. This is why CrossContinental connected Carissa with a supportive local coordinator and a welcoming host family. Carissa said, “My host family has been incredible!” According to her, they made her feel comfortable and at home in no time. She also said she intends to remain friends with them after returning home. She also praised the support provided by her local coordinator, stating that she got all the help and answers she needed to make her volunteer abroad experience in Kenya memorable and educational. Carissa worked at a local hospital during her time in Kenya. She mainly worked at the outpatient clinic. In her own words, she worked 8 hours a day and got the opportunity to witness firsthand how the different departments work. She also appreciated the hospitality of the locals as they welcomed her into the staff. She said, “The nurses and doctors were helpful and kind.” She expressed a strong desire to return to Kenya at some time in the future and work again. She achieved her desired goals of meeting people from a different culture and getting the opportunity to help them in a meaningful way. She also expressed her availability to anyone who wishes to learn more about applying for volunteer program through CrossContinental. Access valuable resources or plan a life-changing trip at https://www.CrossContinental.org. Cross-Continental Solutions provides affordable yet flexible international learning programs, including volunteer abroad, intern abroad, cultural immersion, language study, and gap year programs. A large variety of work placement options are available such as: Teaching, Healthcare, Community Development, Business Coaching, HIV work, Care-giving, Orphanage Work, Journalism, Photography, Wildlife, Agriculture, Environmental Protection, Microfinance, Tourism, Marketing, and more. Programs are available at many locations around the world, including Africa, Asia, and Latin America. By living and working side by side with locals, participants gain an exceptional cross-cultural experience and the opportunity to truly make a difference. For more details, visit CrossContinental.org.